Tetris Effect is really pretty, but kind of expensive, Tetris. From a gameplay and modes perspective it's the best Tetris has been on consoles since Tetris Evolution on Xbox 360 way back in 2007. It also has easily the best presentation the franchise has ever seen thanks to a fantastic soundtrack and gorgeous background visual effects. It is also $40, which is asking a heck of a lot for something that, regardless of how pretty it is, is still Tetris at the end of the day. I love it, but I'm conflicted. 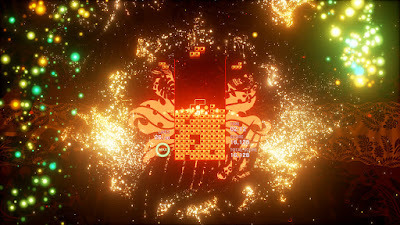 Continue reading our full Tetris Effect review for details. Shop for Tetris Effect at Amazon.com Shopping with this link helps out PSXBoxIndies! Tetris Effect is a new spin on Tetris from famed Rez and Lumines designer / producer Tetsuya Mizuguchi. 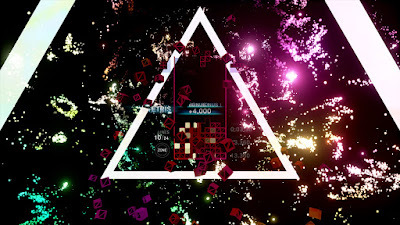 Tetris Effect, similar to the previously mentioned games, seamlessly and perfectly blends gameplay with music and visual stimuli to elevate the game above its humble foundations. 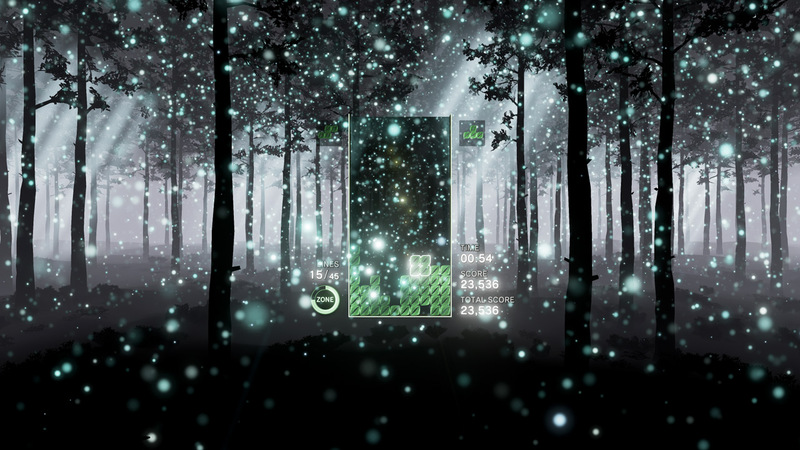 The gameplay dynamically shifts in speed and difficulty along with the rhythm of the music and flashy background imagery puts you into a trance like state. The game shifts from calm and serene to fast and wild and back again even in the course of just one song and keeping up with that gives the gameplay a unique rhythm compared to other versions of Tetris. Some folks say the sudden changes in difficulty make it too hard, but I never had a problem. Git gud at Tetris, brahs. At its core, though, it's still Tetris. You drop familiar block shapes down a well in order to make and clear solid lines. As the speed picks up, the game gets more difficult. It's the same Tetris we've been playing for 34-years now. It is worth noting that this version of Tetris offers modern gameplay tweaks such as (nearly) infinite spin and saving blocks for later, along with a new Zone feature that temporarily stops time and lets you perfectly place blocks at your leisure. This makes it the best playing Tetris ever. Hands down. But it's still Tetris. There are a surprisingly large number of modes available in Tetris Effect that do help to fill out the features list and make the $40 asking price a little easier to swallow. The main campaign is a Journey mode where you play through sets of several songs / levels at once to earn a score. There are also more arcade-like "Effect" modes such as traditional endless Marathon, a 150-line clear mode, puzzle modes that task you with completing puzzles with limited pieces, and much more. There are also special unlockable modes that pop up when the community completes specific goals each week. There's a ton to do in Tetris Effect even though, surprisingly, multiplayer isn't included outside of leaderboards. All in all, I love Tetris Effect, but it does still stumble here and there. The flashy graphics mentioned above occasionally get in the way during some songs and make the playing field harder to see, which is a huge problem when blocks are instantly dropping at Speed-15 and you can't see what is going on. I also have to admit that, while this has nothing to do with the quality of the game itself, the hyperbole from some folks on social media is a bit over the top and off-putting. People claiming the game brought them to tears and otherwise freaking out about the presentation is kind of ridiculous, especially when the gameplay is often so intense you can't really pay attention to the pretty stuff happening in the background a lot of the time. It's pretty and the music is fantastic, but c'mon man, tone it down. 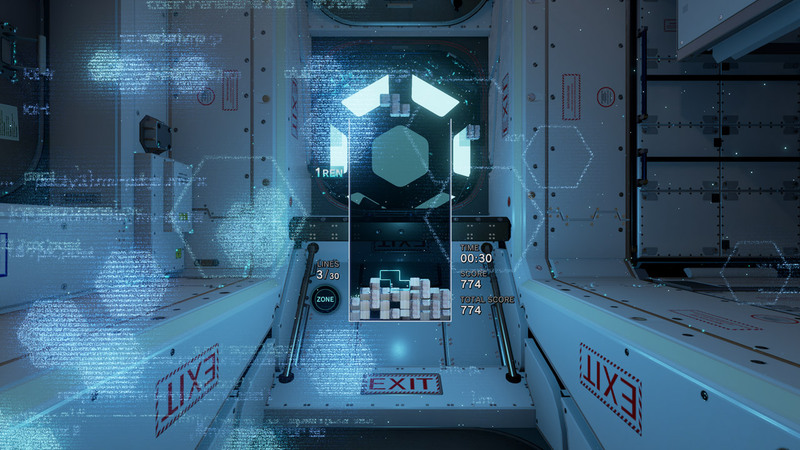 It is worth noting that Tetris Effect has a VR Mode but I could not test it. Perhaps playing it in VR unlocks the otherworldly experience others describe. Or perhaps playing in VR makes you vomit uncontrollably. I can't say for sure either way. As a huge fan of Tetris ever since the NES days, I can easily say that Tetris Effect is probably the best the franchise has ever been. It offers plenty of stuff to do, pixel perfect gameplay, and amazingly good presentation. Will it alter your mind and bring you to tears and change your perspective on the world after just one round like social media wants you to think? No. But it does look great and is lots of fun to play. I know some folks will balk at the $40 asking price, which I do think is probably a tad high, but Tetris fans will definitely get their money's worth. Other folks might want to wait for a sale. With or without VR I do think Tetris Effect is absolutely worth playing at whatever price you're comfortable with.